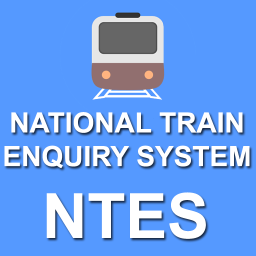 National Train Enquiry System (NTES) is an integral part of the Integrated Coaching Management System, which is developed & maintained by the CRIS (Centre for Railway Information Systems). Indian Railways make the efforts best in order to regulate the delaying trains, rescheduling of the trains, cancellation of trains, diversion of certain trains, et al. 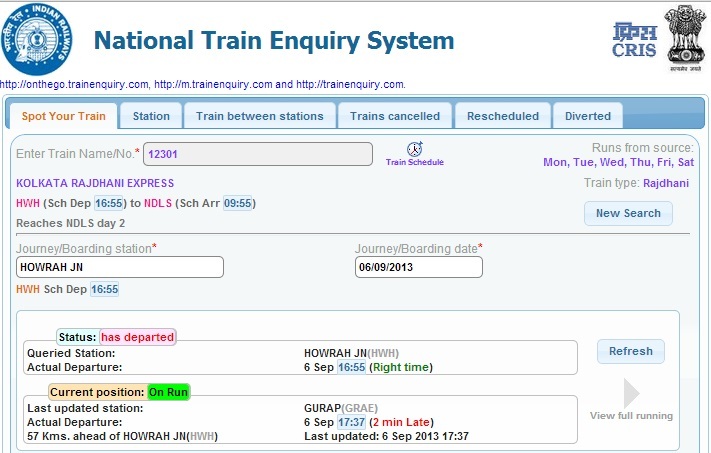 Adding to that, to regulate the inconvenience happened due to those sudden changes in train running, train to delay, and if cause of any natural calamities such as storm, heavy rain, rail damages, et al, the National train enquiry system, Indian Railways notifies the passengers handy by updating the changing information in the system to get them prepared. The information includes but not just limited to trains arrival/departure at each stopping station, train schedule timings, information about the cancellation of any trains if, information about diverted trains and platform berthing information at major stations, et al. The main concept and goal behind the objective of this NTES system are to provide reliable information to the train users timely through user-friendly interfaces & PAN India accessibility. Through the updated technology system, the NTES uses channels such as email id (passenger’s registered email ID), mobile number (to send SMS), in person at the Enquiry Office, digital displays at all the railway stations, and Indian Railway website. NTES has won the National Award for e-Governance in the year 2010-11 for an effective and innovative use of ICT by PSUs for the arrangements made for customers’ easy use and benefit. The National train enquiry system, Indian Railways was declared as the Finalist in the computer world honors program, which instituted by the Computer-World Information Technology Awards Foundation, USA. Adding to the above, NTES has launched an ‘app’ for the Android & smartphone users. You can download the app from Google play-store and Windows store for the passengers’ easy use of access.